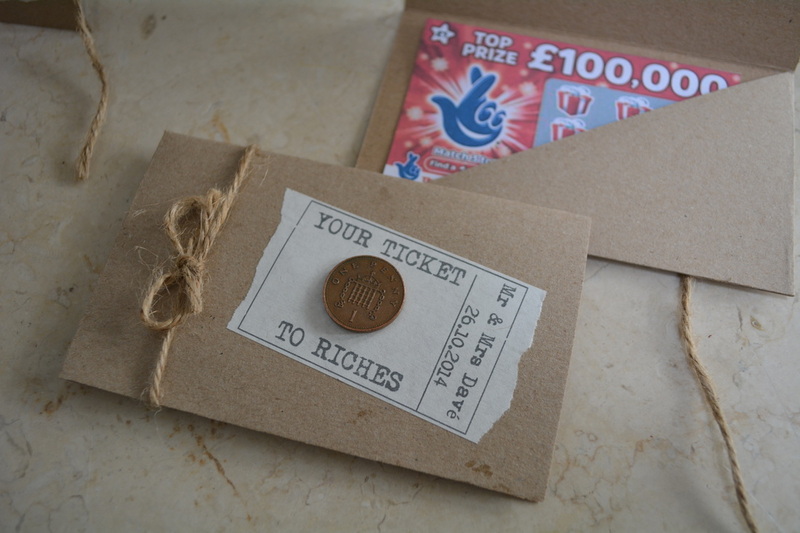 When you are struggling to find the perfect favour for your guests it has to be said that everyone (without exception) loves a scratch card. 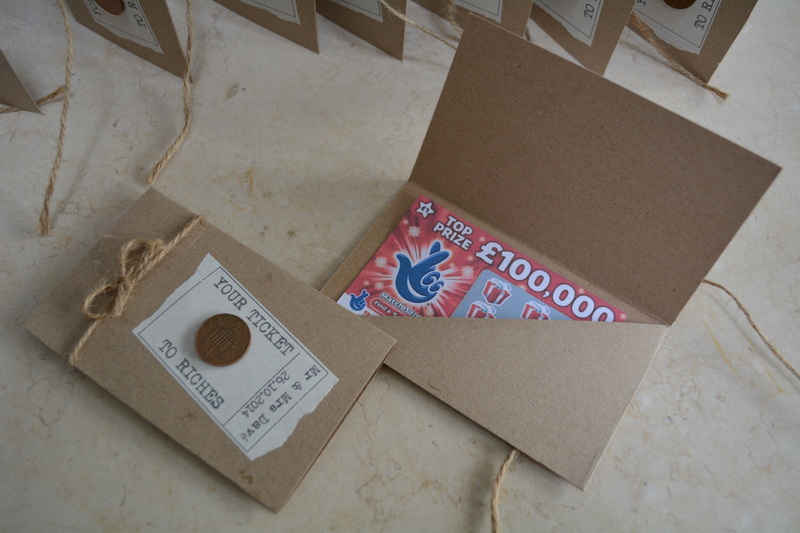 These gorgeous little Kraft card wallets are simple but stylish. 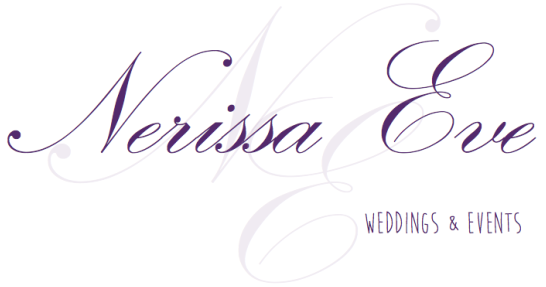 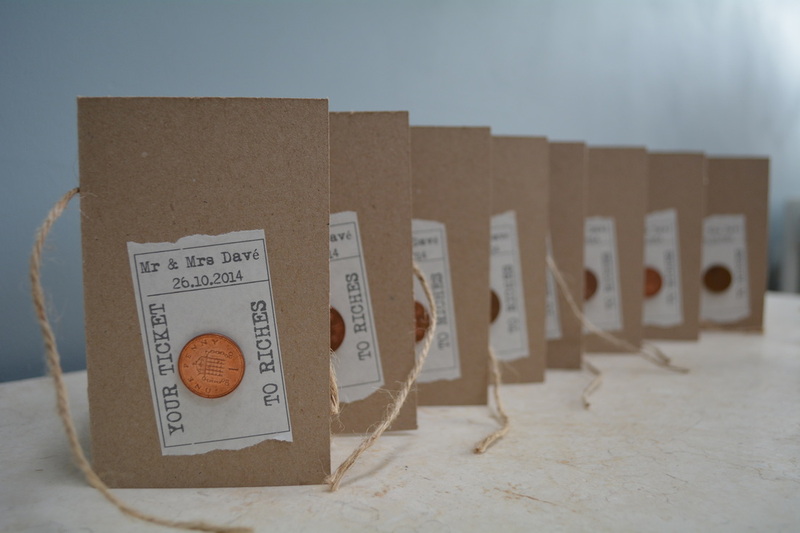 They are personalised with your name and the date of the wedding with an old penny fixed to the front, the penny easily peels away to be used to scratch the card. 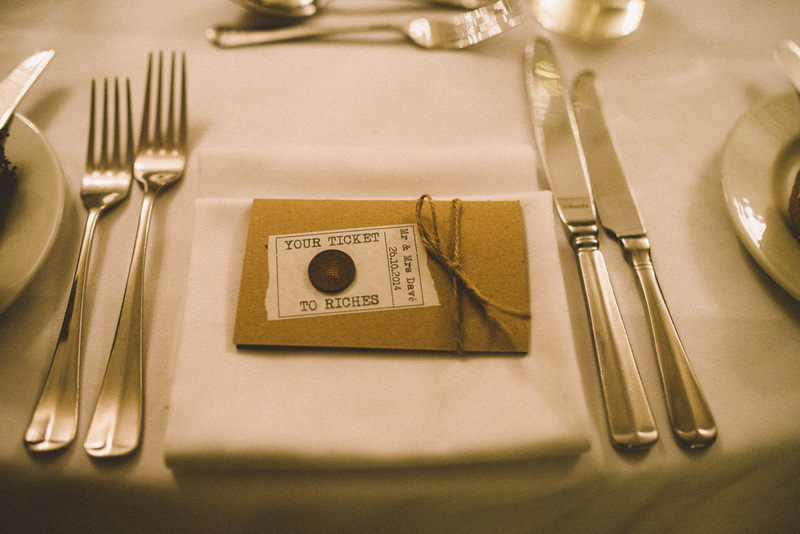 The vintage style ticket on the front can be customised, just let us know what you would like it to say in the 'notes to seller' as you check out.